Post-hospital recovery or convalescent care allows our guests to recuperate with assistance and physiotherapy to return home rested and stronger. We accommodate caregiver relief and stimulating respite stays, ideal for families going on vacation or need short-term relief. Our guests are attentively cared for and engaged in many activities. We invite guests to have a trial stay and discover the beautiful community of Portal Village. Stay periods range from 10 days to one month, with the option of transitioning to one of our permanent resident suites as available. 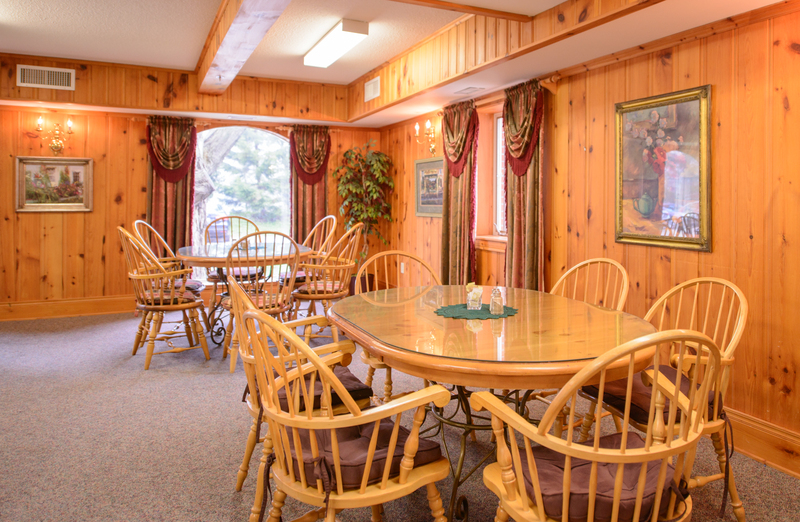 Short stay options can include meals, laundry, housekeeping, assistance with medications, and on-site physiotherapy. We have nursing staff on site 24 hours a day, seven days per week. We can work with CCAC programs for additional support if needed, or provide care in-house for an additional charge. Also, in-house physiotherapy can provide up to 5 days a week support. Access to 24-hour nursing services for things like night checks, cueing to meals and activities, help with compression stockings, assistance with hearing aids, weight management, blood pressure monitoring, blood sugar monitoring, etc.